Competition between Android and iPhone has been brewing ever since Android’s release. Now that Android’s market share heavily outweighs the iPhone, has Apple done what it can to help catch back up? Below we’ll compare the popular Samsung Galaxy series of phones (Galaxy S5 and Note 4) to the iPhone’s latest offerings. One of the most exciting things about Apple’s new iPhone is the large screen iPhone 6 Plus. Android users have long had access to a wide variety of models and screen sizes ranging from 2" up to the hefty 5.7" Samsung Galaxy Note 4. Apple can now claim that they too have a large phone display for those looking for it with the Plus’s 5.5" screen. The regular iPhone 6 bumps up the screen size over the iPhone 5 with a 4.7" display. Not only is screen size an important factor to consider when comparing phones, but the dpi or dots per inch of the display will tell you how much clarity the phone has. This is sometimes referred to as ppi or pixels per inch as well. The higher the dpi or ppi, the better the display will look. 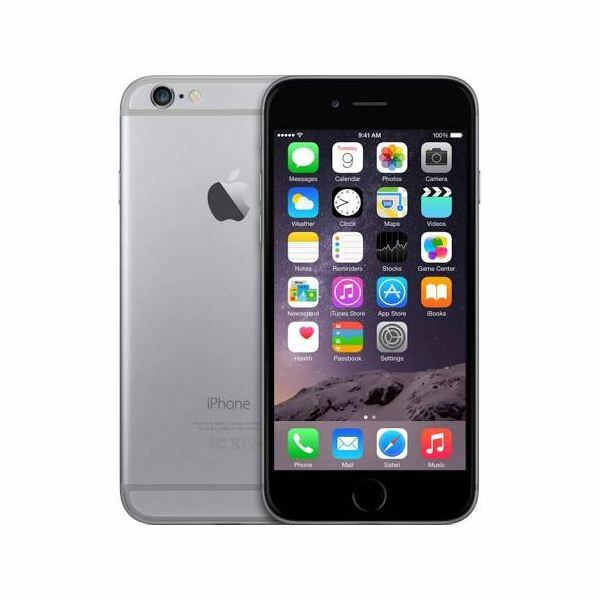 Apple’s regular iPhone 6 offers a dpi of 326 while the Plus model offers a higher dpi of 401. When we look at the Samsung models, we’ll find the S5 has a dpi of 432 while the Note 4 has an impressive dpi of 515. On the inside the iPhone and Plus models are the same – with Apples proprietary A8, speeds are greatly increased over the iPhone 5. The Samsungs both have quad-core SnapDragon processors running at higher clock speeds than the iPhone but both the iPhone and Plus models score significantly higher than the Samsung phones in benchmarks. Both iPhone 6 and 6 Plus models have 8mp cameras. Apple has improved image stabilization and overall quality, but it still falls behind the Samsung S5 and Note’s 16mp cameras. Video is likewise improved on the iPhone but still records at 1080p resolution at 60 frames per second. The Samsung devices are also capable of recording 1080p @ 60fps but they are also able to record at 2160p @ 30fps. Summing up the hardware, Apple has made numerous improvements to the iPhone 6 over the previous model, but in some ways it still falls behind Android’s best devices. The iPhone 6 and 6 Plus come with iOS version 8. In it come numerous usability improvements. One major area Apple has focused on is centered on text input. Android users have long been able to switch keyboards to a 3rd party layout like Swype and SwiftKey and now iPhone users will have that same flexibility. In addition to 3rd party keyboards, iOS 8 also includes predictive text – another long time feature Android users have enjoyed. Apple’s Spotlight Search has also been improved allowing you to perform context sensitive searches from the home screen. While Android has context sensitive search, Apple’s offering seems to be better integrated and seems more comprehensive. Another highlight of iOS 8 is the improvement to notifications. iOS now allows users to perform quick actions within the notification pane instead of taking you to a different app. For example, users can now reply to text messages within the notification window. Android doesn’t support this functionality natively but can be obtained through 3rd party apps. One area sorely missing yet in iOS are widgets – little bits of information that you can see without going into an app. Android has had widget capability for over five years now and lets users view weather forecasts, see emails and calendars without leaving the home screen. Apple did add widgets to the notification window so in that respect the functionality is getting closer to Android but the fact you can’t place them on your home screens is still a major annoyance. Although the hardware specs for the iPhone 6 and 6 Plus weren’t as revolutionary as some expected, several of the iOS 8 features greatly enhance the usability of the phone. In many ways Apple is playing catchup to Google but in doing so they are paving their own way.